“Everybody on Earth can lead a very abundant existence. Money can be manifested instantly for you if that is what you wish for. As can family, friendships, work, health. Abundance applies to everything, and we really wish to work with you on clearing the lack vibration that is really pervading humanity at this time”. Two and a half hours with the Abundance Dragons offering you profound guidance, healing and transformation! This is a very exciting time on Earth. It is a time when the light is speeding up and your thoughts manifest into reality more quickly. One of the greatest blocks we see facing humanity at this time is disbelief in their own power. We wish to work with you to clear and transmute this disbelief and where it pervades into every area of your life. Many of you are unconsciously aware of where this disbelief is blocking you and how it is blocking you having the life and experiencing in your life your heart’s wishes and desires. Everybody on Earth can lead a very abundant existence. Money can be manifested instantly for you if that is what you wish for. As can family, friendships, work , health. Abundance applies to everything, and we really wish to work with you on clearing the lack vibration that is really pervading humanity at this time. For we are the Guardians of the Leylines. We release the energy for Mother Gaia deep in the Earth and at this special time between the eclipses, Mother Gaia is releasing more abundant energy for you all to harness. But many of you struggle to receive energy, physically, mentally, spiritually, emotionally from Mother Earth and we therefore wish to support you in being able to receive more easily. The Dragons wish to bring to you wisdom on your soul’s path. We have Dragons in the Akashic records who are now ready to communicate with humanity. We can access your Akashic records with you in order to show you clearly where you are off your path at this time and where you can bring abundance into being; for every soul sets abundance frequency in them when they incarnate. So that you carry abundance frequency, so that you know the great spiritual work, the great soul work you have come to do. So you are ready and able to always be living an abundant, joyous lifetime. We really wish to open up this abundance portal within you again and connect you to your Akashic records wisdom. Even if you do not receive this information consciously in the transmission, know that you will receive it subconsciously and we will work on clearing the blocks in you that stop you psychically consciously receiving messages. 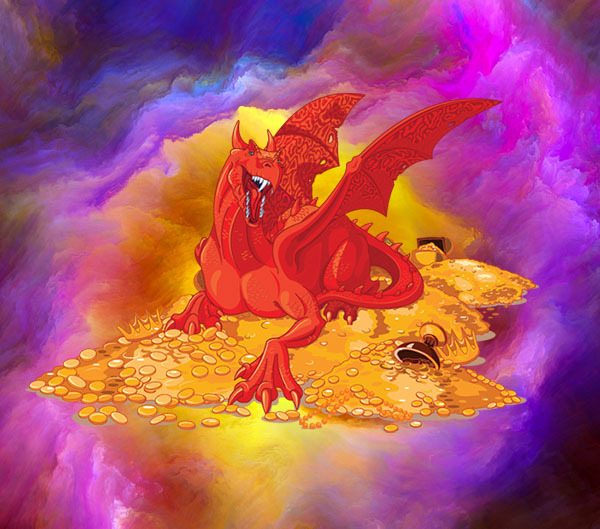 It is a great joy for us to bring through this transmission for you, to help you establish a connection with your own personal abundance Dragons so that you can incorporate their energy into your daily life and call upon them whenever you are struggling with abundance frequency. Know we look forward to working with you at this time. Lammas is the first of the Harvest Sabbats, which takes place astrologically on the 7th of August. Traditionally Lammas has been celebrated on the 1st of August, as a celebration of abundance. The Dragon kingdom has come forth to offer their support in assisting you in harnessing fully the lammas energies this year. In order to do this we require to be abundant in our thoughts and our feelings and to know that abundance is a vibration we call into being. We live, and when we live with abundant mentality and expression, the universe provides abundance in all areas. The Dragon kingdom have come forth wishing to support us in being abundant in all areas of our lives. Dragons are excellent transmuters and are wishing to work with you through this transmission to free you from limiting thought patternings, ancestral inherited patternings and anything from your past lives that are hampering you experiencing abundance in all areas of your life. Invocation prayer that you can say to continue working with them, as well as strengthening your communications with the Dragon consciousness. Forty five minute channelled guided meditation to support you in moving into being abundant in all areas. You will visit a sacred mountain in Wales, meet your Akashic Record Dragon guide. Open your abundance portal in sacral chakra which had been closed off in humanity. 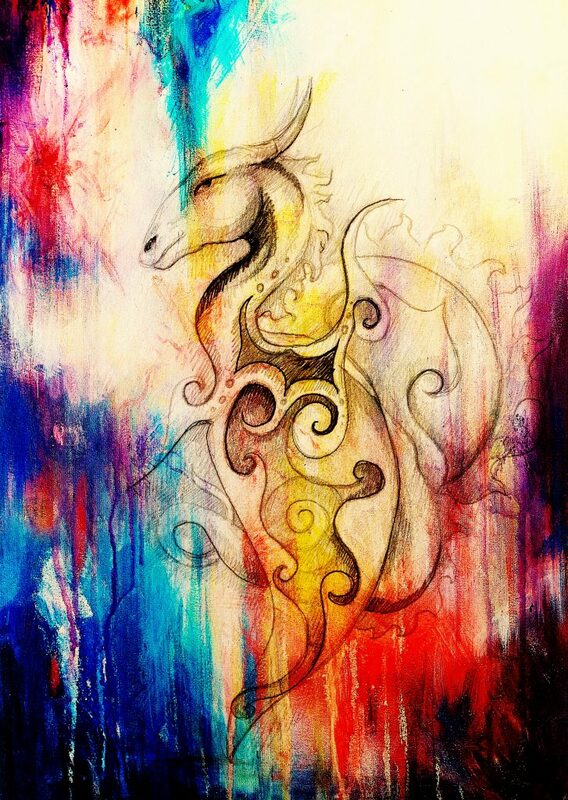 Find our which Chakra holds your main abundance blocks and clear it in a special Dragon Fire. 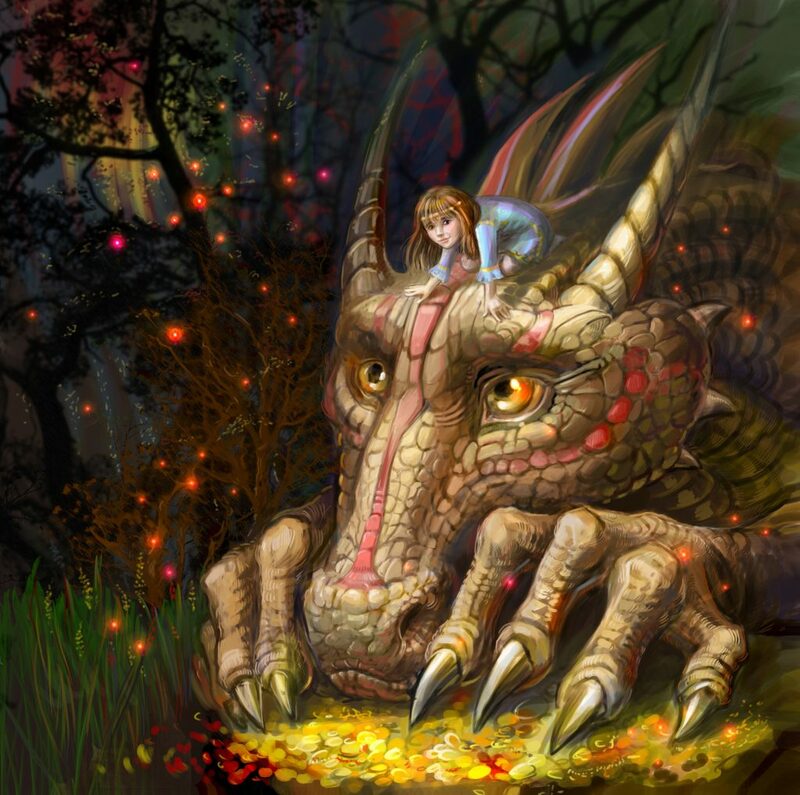 Receive messages and a gift from your personal abundance dragons. Sound healing in the meditation from the tibetan and crystal singing bowls, drum, rainstick, voice work and the chimes to create beautiful atmospheric and healing meditation journey for you. Learn how to perform a dragon abundance manifestation magick ritual with the Dragons of the Elements. Alphedia Arara set up the Dragon Wisdom School in 2013. Alphedia also has a great stock of crystal dragon skulls available in the shop, many of which are Abundance Dragons in crystalline form, who are excellent beings to work with in meditation and in healing practice to aid you on your Ascension Journey. Take me to the Crystal Shop!